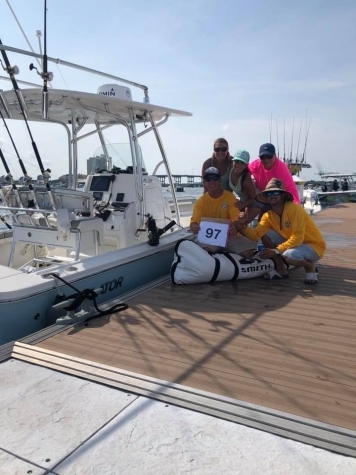 We fished the Big Dog Fat Cat KDW, which was our 2nd SKA event of the year here in south FL. 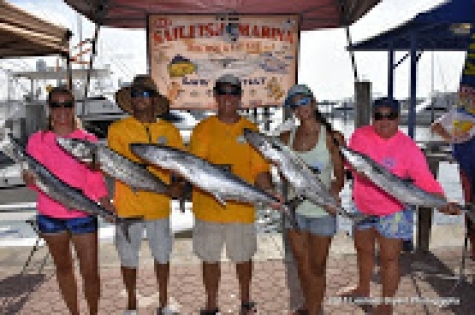 We were looking forward to getting on some smoker kings early and move up the SKA leader board in the small boat class. 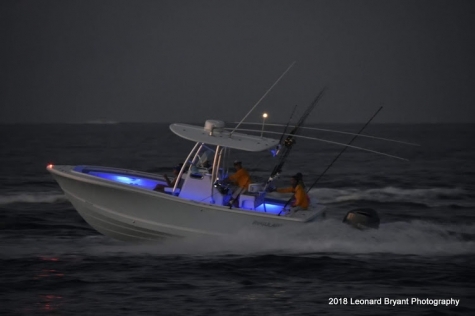 To give ourselves the best shot to land a stud king we needed to make a 40 mile run north from our home port of Boynton Beach. With lines in at 6:30am we had to leave our dock no later than 5:00am. We had gotten our live bait (Gogs and Blue Runners) the night before which would save a little bit of time in the morning. We made it to our numbers ten minutes before lines in. We started marking fish immediately, which was good news. The minute clicked to 6:30am and I tossed out a frisky gog that would have been going on our downrigger, however my frisky gog never made it more than 30 seconds in the water. Unsure what bit the gog, but whatever species it was, bit straight through the wire leader. Five minutes later we had our entire spread out and now we were bump trolling looking for our smoker King. Just before 7:00am our gog on the downrigger gets smoked and we are on!! Our king took a few good runs, but was gaffed and in the box 5 minutes later. Turns out this was going to be our biggest King of the day which weighed in at 16.9lbs. It was good enough for a 4###sup/sup### place finish in the SKA Small Boat class! The rest of the morning was steady action, but never found the smoker that we needed. All of our kings were in the 7-14lbs range. Around 10:00am our flat line with a gog gets smoked! A sail! It is always a blast to catch a sail. 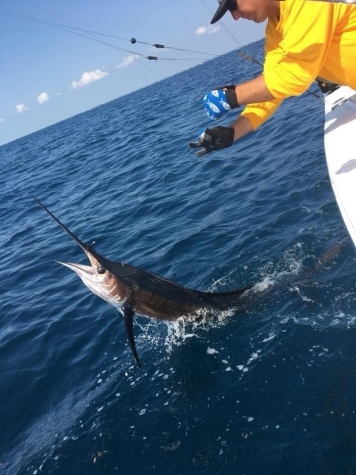 We were able to get him boat side, snap a few pictures, and get a clean release. We stuck in out at Loran until 1:30, and then make a move to the south. Once again action but not what we were looking for. We found a ton of Bonita’s, cudas, and a nice black-fin unfortunately got sharked. 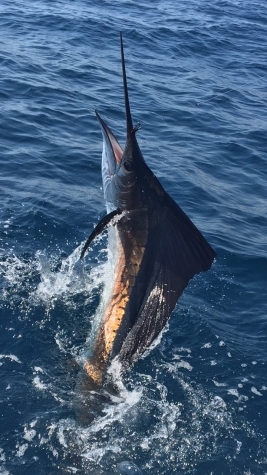 It was a great day on the water with plenty of action!